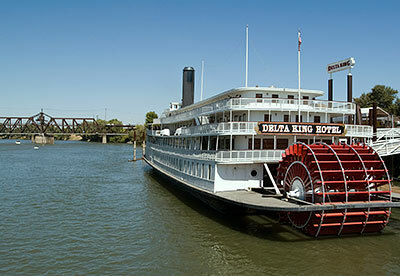 For a decade beginning in 1927, the sternwheel riverboat Delta King and her identical twin, the Delta Queen, made grand, ten-hour journeys between Sacramento and San Francisco complete with fine dining and jazz and gambling. Prohibition whiskey and gin and champagne. $3.50 would get you a stateroom. For eight bits you could sleep on the cargo deck if you brought your own blanket. 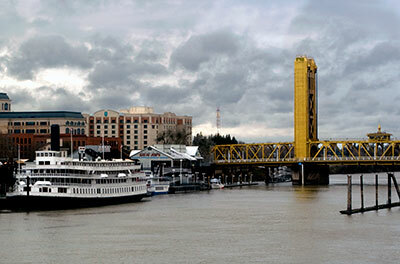 The bottom photograph was taken from the eastbound California Zephyr as it crossed the I Street Bridge just before stopping at the historic Southern Pacific Depot.